The CircumBurke has truly become an annual celebration of trails, trail running, biking, survival and camaraderie – and not just about the racing! In 2018 on a raw and gray Saturday, the event did not disappoint seekers of pain, suffering, adventure, singletrack bliss and good vibes. Over 500 survivors made it back to East Burke and were able to enjoy the rollicking descent to Burke Mountain’s base lodge in style, albeit covered in mud. Hearty meals and beverages were awaiting them there. Our CircumBurke Trail Runners are a rare breed that never cease to amaze with their feats of agility and endurance. They are able to leap over piles of wet leaves, mud pits and rock drop in a single bound while negotiating tricky trails and skidroads. Several top finishers even added an extra two miles to their ordeal on top of the already formidable marathon distance – through no fault of their own. Chapeaux off to the trail marathoners…you rock! With a clean fresh course for their early morning first lap, the 50 mile CircumBerzerk bikers astounded the spectators with their speed. When it was all over, four riders, Alex Vialle, Logan Casper, Bouke Noordzij and Noah Tautest, had all obliterated last years course record despite increasingly muddy conditions on the second lap. Helmets off to you Berzerkers..you roll! In the CircumBurke one lap categories, Olympic medalist Georgia Gould set a new women’s expert course record of 2:37:43, while Brad Farrell repeated as King of the men’s expert category. Libby Greeley, Matthjais Bourdea-Golfman, Kate Kogut and Conor Munns were winners in the Junior categories. Winners of the Sport Category were Anna Cronin and Jesse Porter-Henry. Novice Champions were Lorena Duquette and Ben Ogden. In the Strava Enduro category our fastest descenders were the Flying Farrell Brothers, Brad and Bobby (5:21) and of course the multi-talented Olympian Georgia Gould now hailing from East Burke, Vermont. Congratulations to all these brave athletes, as well as our dedicated volunteers and the staff of Kingdom Trails, Burke Mountain and Victory Hill. A special thanks to our title sponsor Passumpsic Bank, along with nutrition from Cabot Cheese and Clif Bar, passage through Vermont Department of Forests Parks and Recreation land, the Rasputitsa Race Production Team (for serving up irresistible Vermonto-belgian waffles! 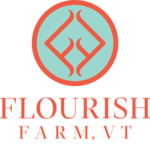 ), Century 21 Farm & Forest, Flourish Farms, Front Porch Forum for getting the word out and Bourne’s Energy for keeping us warm! All of these volunteers, hosts and sponsors believe in promoting adventure, outdoor recreation and building environmentally sustainable trail networks. Event results here www.barttiming.com Event Photos here.